Guides if you need help setting up or connecting with ExpressVPN. Stuck and need some help? 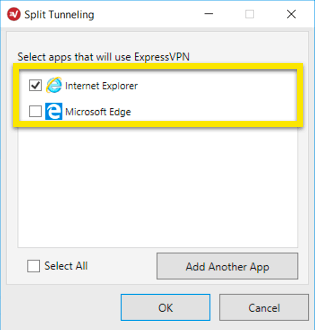 This guide will show you how to use the split tunneling feature on ExpressVPN apps. What is the split tunneling feature? What happens to my DNS queries when I use split tunneling? 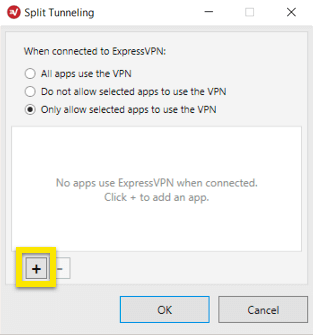 The split tunneling feature lets you decide which apps will use the VPN and which apps will not use the VPN when you are connected to ExpressVPN. 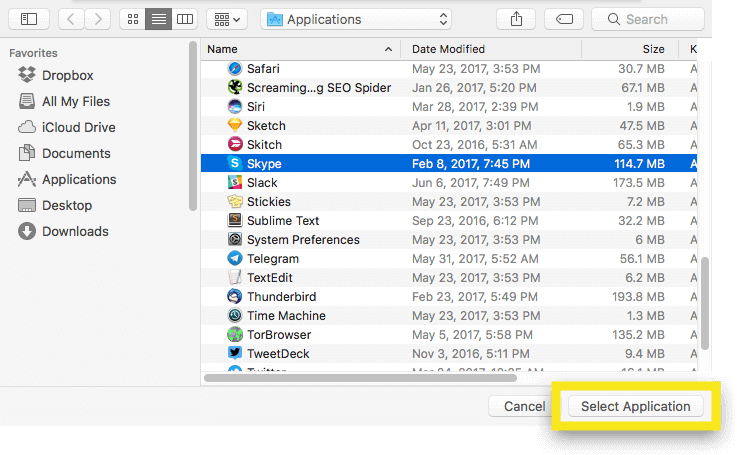 For example, you might want all of your apps except for Firefox to use the VPN. Or you might want only Chrome to use the VPN. 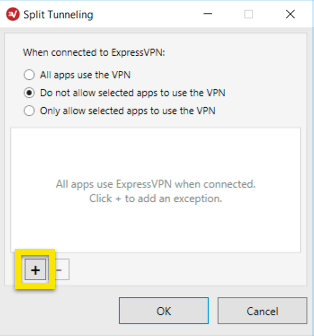 You can configure ExpressVPN to “split tunnel” the traffic so that only certain apps use the VPN. 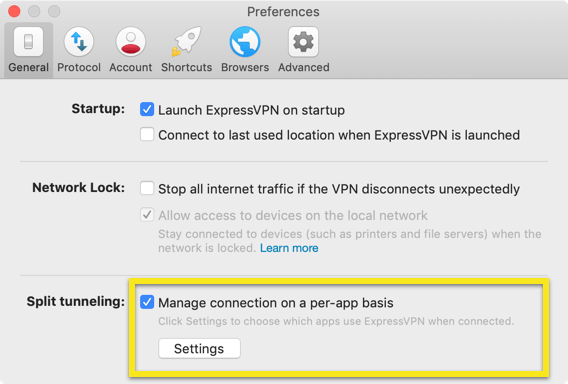 As long as you are connected to ExpressVPN, all of your DNS queries will go through ExpressVPN’s servers, no matter how you configure your split-tunneling settings. 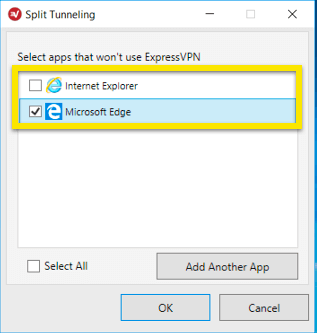 Note: You must be disconnected from the VPN to change your split-tunneling settings. To change your split tunneling settings, click the hamburger menu (≡) and go to Options. Under General > Split tunneling, check the box and click on Settings. 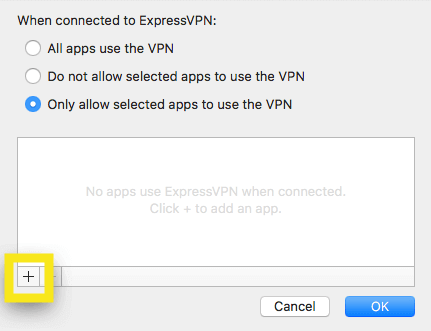 To make all your apps use the VPN when you’re connected to ExpressVPN, select All apps use the VPN, then click OK. Choose this option if you want to decide which apps will not use the VPN when you’re connected to ExpressVPN. 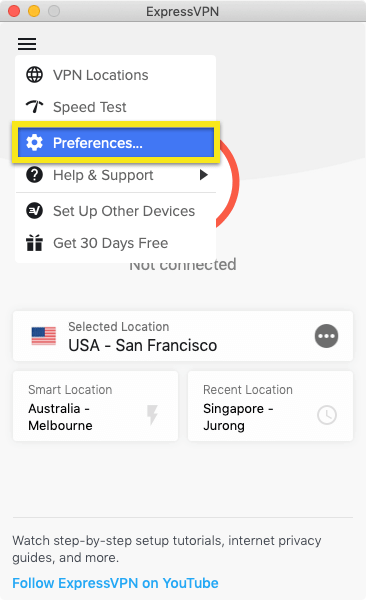 To choose which apps will not use the VPN, select Do not allow selected apps to use the VPN, then click the plus sign (+). Check the box next to all the apps you want to select. If your desired app is not shown, click Add Another App to search for it. Click OK to apply your changes. Now when you connect to the VPN, everything except for the selected app(s) will use the VPN. 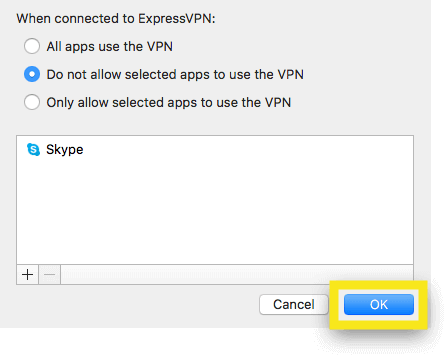 Choose this option if you only want certain apps to use the VPN. To choose which apps will use the VPN, select Only allow selected apps to use the VPN, then click the plus sign (+). 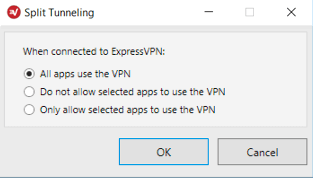 Now when you connect to ExpressVPN, only the selected app(s) will use the VPN. Need help? Contact the ExpressVPN Support Team for immediate assistance. Tick the box in the Split tunneling section and click Settings. Select the application you wish to exclude from using the VPN, then click Select Application. 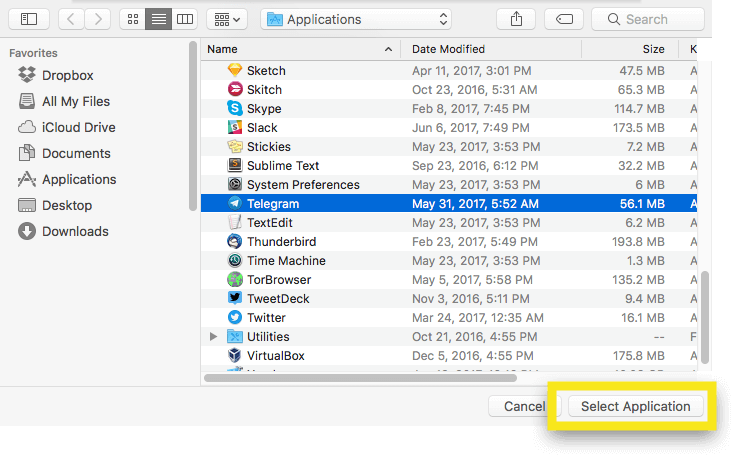 Use the plus (+) and minus (-) signs to add and remove applications as you wish. 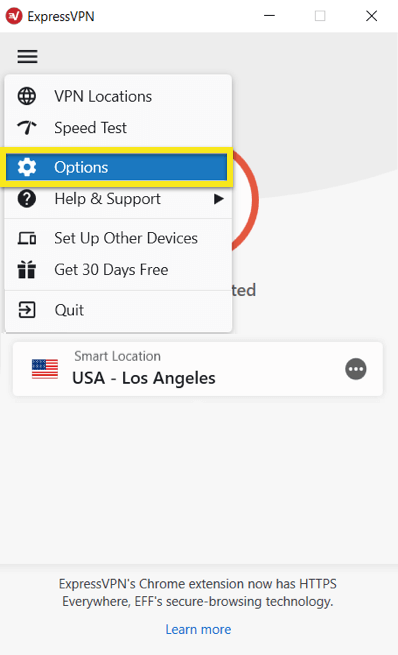 Select the application you wish to allow to use the VPN, then click Select Application. What’s my IP address location? Why is my VPN always disconnecting?